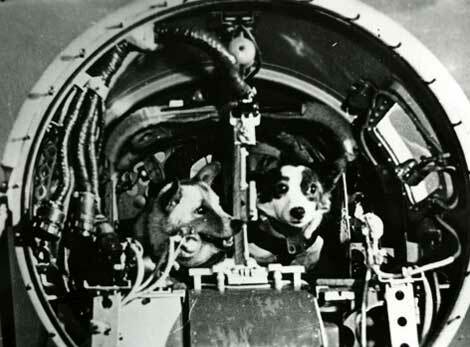 Based on the early results, it appears that this blog is about dogs — including Soviet space dogs. However, it should meander off into a lot of other stuff over time. Vulcan Cafe presents a diverse range of interests and opinions that include book and film reviews, articles on natural history and wildlife, political philosophy, geography and travel. A few of the posts were printed previously as reviews and articles, but are now updated for the web with photos and links. Most are explorations of topics that could, theoretically, be of general interest. A handful are more personal elegies or eulogies, memorializing this or that event or person. And a few are focused on documentary films or photography galleries. Vulcan Cafe is a platform to organize and consolidate some past projects, and to develop new ideas and interests into coherent expositions and themes (well, that’s the plan). In writing the posts, it forces me to grapple with the topics that I find fascinating, disturbing, puzzling, astounding or aggravating. 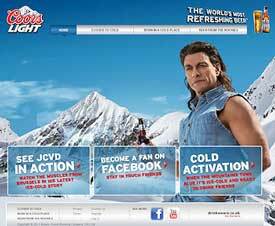 Successful blogs that attract repeat visitors generally specialize. Pick a subject: Australian cattle dogs, Star Trek memorabilia, coprolites, Navajo jewelry, Kubrick films, collecting ‘Care Bears’ — and then try to capture the attention of every single person with an interest in the topic. Naturally, I plan to do just the opposite; I will attempt to keep the subjects scattered and eclectic, the focus flying all over creation. Serendipity and synchronicity make lively co-pilots. There is a lot of fascinating terrain out there, off the beaten path, all over the map. One bit of good news is that I am not selling anything. So no Dorito or AT&T ads in the margins. 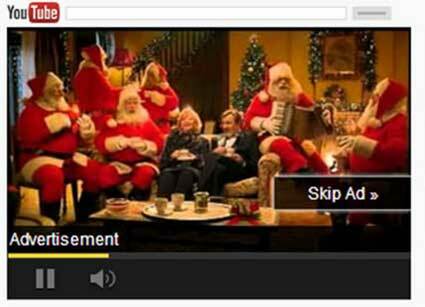 Ads are insidious — especially when they pop up everywhere and almost always uninvited. 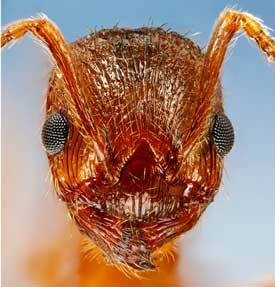 They are psychological intruders about as pleasant as fire ants inside your shirt or bedbugs under the mattress. Yes, they all have to make a living–advertisers and fire ants alike — but no, they are not your friends. “Advertising isn’t just the disruption of aesthetics, the insults to your intelligence and the interruption of your train of thought. At every company that sells ads, a significant portion of their engineering team spends their day tuning data mining, writing better code to collect all your personal data, upgrading the servers that hold all the data and making sure it’s all being logged and collated and sliced and packaged and shipped out… And at the end of the day the result of it all is a slightly different advertising banner in your browser or on your mobile screen. 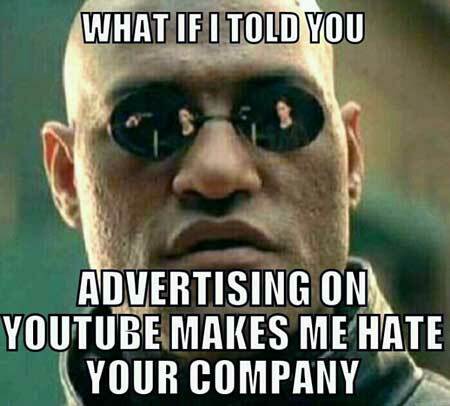 So ads are ubiquitous and as irritating as Fire Ants on the web but that doesn’t mean you have to roll over for them. If you ended up at this site, it was likely by happenstance rather than design. Maybe you were searching for something about the planet Vulcan, or an extinct marsupial like the thylacine, or an obscure political philosopher such as Guy Debord … and ended up here. Kismet. I have stumbled on some very good blogs in my wanderings across the internet, and some of these appear to have a paucity of visitors. Maybe there are more writers than readers in the blogosphere? In truth, you can easily publish your masterpiece but every darn copy ends up remaindered and unread. With that in mind, most of my articles and posts are written with the understanding that they may never be read by anyone. Ever. It’s a lonely void out there. In a way, that is comforting… even if a little discouraging. Unread, you can write strange, outrageous, and mind-blowing stuff without annoying anybody. No one will hiss, toss tomatoes, or smirk. Posting items on a unvisited blog is in the tradition of placing a message into a bottle and tossing it into the sea. The message may or may not be desperate, but the stratagem seems hopeless. What chance does the message have to reach someone who cares? Theodore Sturgeon created a masterful version of this theme in his science fiction story: A Saucer of Loneliness. 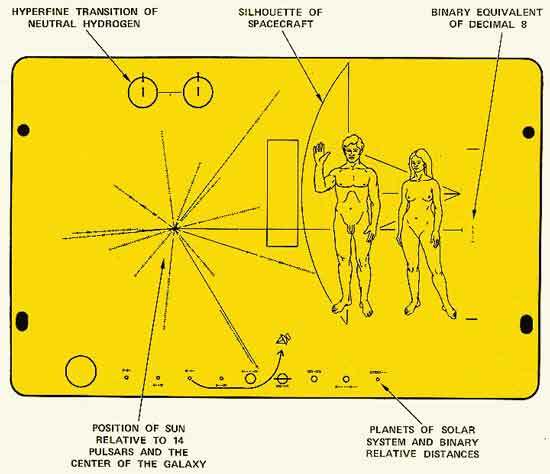 The message plaques attached to Pioneer 10 and 11, and sent sailing out of the solar system seem like an especially solitary and unfrequented blog post. 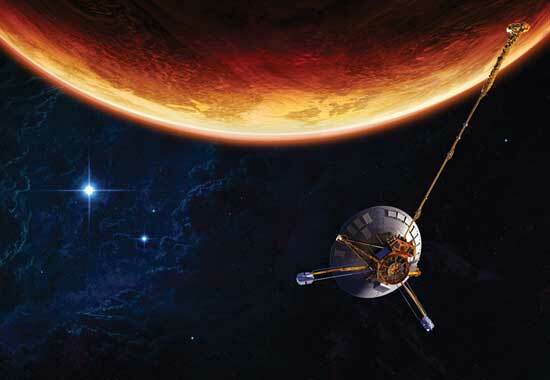 Created by Frank Drake and Carl Sagan, the posts are intended for extraterrestrial readers. What are the infinitesimal odds of encountering sentience out there? I hope mine are a little better. Any and all extraterrestrial visitors, naturally, are welcome here. Terrestrial types, too.